Chromosomal culprit: A deletion on chromosome 22 causes Phelan-McDermid syndrome, a rare autism-related disorder. Late in the afternoon last Thursday, in a stately wood-paneled room of the New York Academy of Medicine, five researchers for the first time shared notes on a project they had each been tackling for years: creating mice lacking the SHANK3 gene. SHANK3, located on the tip of chromosome 22, is among the most promising candidate genes for autism, and is found in an estimated one percent of individuals with the disorder. It makes a protein that is critical to the smooth workings of the synapse, the junction between neurons. It is also part of a segment that, when deleted, causes Phelan-McDermid syndrome, a disorder characterized by severe intellectual disability, delayed speech and, usually, autism. In December, Joseph Buxbaum published the first description of a SHANK3 mutant mouse. But his results were surprising: the mouse has only mild social impairments and does not show any of the cognitive impairments seen in people with the deletion. During their lively discussion, the mouse engineers confirmed what they had individually suspected. The typical strategy for deleting a gene — disrupting the front end of its code — is not sufficient to turn off SHANK3, and could account for Buxbaum’s results. The revelation might never have happened if it were not for the First International Phelan-McDermid Syndrome Symposium, an intimate two-day meeting of about 60 researchers and 40 patient advocates. The organizers aimed to foster science, and to support it — not just by writing checks, but by forging productive relationships with regulators and pharmaceutical companies. “That’s the cool thing about this conference — these groups, you see them all huddling together now, talking about what they’ve done,” Pickel says. The researchers weren’t the only ones eager to share. One mother stood up and announced, for example, that a part of her son’s right temporal lobe has been sitting in a Chicago hospital for 15 years, waiting to be analyzed by any interested scientist. A researcher rushed over to her at the very next coffee break. Over the course of the meeting, several researchers gave meaty scientific updates of work related to the syndrome. Ozlem Bozdagi Gunal‘s team at the Mount Sinai School of Medicine in New York is systematically testing various classes of drugs that act on the synapse — such as growth factors — on Buxbaum’s SHANK3 mice. In 2008, Mark Bear‘s group at the Massachusetts Institute of Technology showed that learning impairments in mouse models of fragile X — an autism spectrum disorder caused by disruption of the FMR1 gene — can be reversed by suppressing a receptor at the synapse. As Bear told conference attendees on Friday, fragile X shares biological pathways with many other forms of autism and intellectual disability. “Treatments developed for one cause of autism, like fragile X, might be effective for others, like Phelan-McDermid,” Bear said. Stanford University’s Ricardo Dolmetsch is making neurons out of reprogrammed skin cells from individuals with Phelan-McDermid syndrome. So far, he has analyzed data from seven cell lines from three individuals who have the syndrome. He has preliminary data showing that mature neurons from these individuals show several abnormalities compared with those from healthy controls, including a higher spontaneous firing rate. Dolmetsch noted that two other groups had discussed similar work at the meeting. That redundancy of effort “doesn’t make any sense at all,” he said. He suggested that the groups begin sharing some of their cells. Not long ago, Phelan-McDermid syndrome was thought to be just another obscure genetic disease. 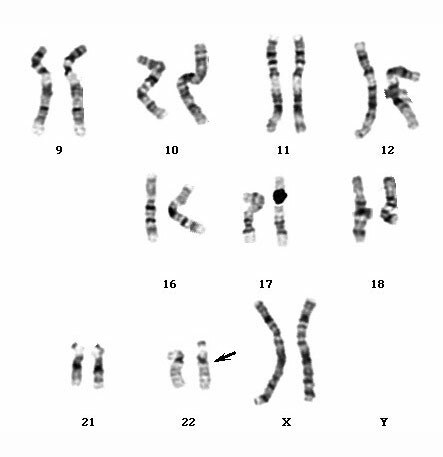 In 1992, Katy Phelan and Heather McDermid published a case study of a boy with developmental delays who carries a deletion on chromosomal region 22q131. Two years later, McDermid followed up with a landmark paper of seven children with the same deletion2. The researchers organized a meeting of about 20 families in 1998, which has convened, mostly as a support group for families, every two years. In 2003, the group founded the Phelan-McDermid Syndrome Foundation. Now, with 600 members and counting — one-third of whom hail from outside the United States — the foundation is beginning a second phase of development more focused on research and on promoting awareness of the deletion among clinicians. Even today, many parents pointed out, most clinicians have never heard of the syndrome. Several speakers addressed the need to attract more researchers to the field and help them share their findings. For example, Chris Winrow, director of neuroscience at Merck Research Laboratories and the parent of a child with the syndrome, discussed smart strategies for accelerating drug development. Others focused on the best way to build a registry of patients’ clinical data and biological specimens. The sessions made for an unusual mix of complicated science and policy brainstorming. If the parents in attendance felt any frustration with the complexity, they didn’t show it. Nancy and Mike Gould have a 45-year-old son named Billy who was diagnosed with Phelan-McDermid syndrome six years ago. When Billy was a baby, doctors performed chromosomal tests but, because of the crude methods available then, did not find any irregularities. They told the Goulds that Billy’s severe intellectual disability and lack of language couldn’t be genetic, and that he could never be treated. He was excluded from school until he was 10. Deborah Rudacille contributed to the reporting of this article. For more reports from the First International Phelan-McDermid Syndrome Symposium, please click here. Very well written! I does an excellent job capturing the excitement and energy of the meeting. It is puzzling why the statement that about 1% of autism cases have a SHANK3 mutation has not been questioned. This claim has not been replicated. In a European study that included 406 families included in the IMGSAC collection of multiplex families and 76 IMGSAC single member Italian families the authors failed to find a single case of SHANK3 mutation. The NIH genetic reference library found the Pheland-McDermind Syndrome to be extremely rare, nowhere near the claim that SHANK3 might account for 1% of autism cases. The NIH also reported that most cases of 22Q13.3 is rarely inerited but that it is a primarily a de novo germline reproductive error (sperm or egg)and that the mutation is rarely present in either parent. Was there any discussion of genetic counseling in the meeting? The authors screened 223 children with autism and found 5 with SHANK3 mutations/Phelan-McDermid syndrome. If I’m reading the supplementary tables correctly, it seems that several of these were inherited from the parents. As always, thanks for keeping up with SFARI! The NIH genetic home reference is an excellent resource for determining disease characteristics for any genetic mutation.The gene reviews are written by leading experts in the field. In the case of Phelan McDermid Syndrome, the gene review was written by Katy Phelan, a co-discoverer of the syndrome. In her gene review she reported that 80-85% of cases are the consequence of a de novo mutation. The failure to find any cases in the European IMGSAC collection is likely because the IMGSAC genetic resource, like the US AGRE genetic resource, contains only multiplex families (two or more individuals within a family diagnosed with autism). This would lead to an over representation of inherited cases. A final thought. One of the questions that have puzzled autism researchers, a question frequently posited by Rutter, is that autism is such a profoundly handicapping disorder especially within the single-gene disorders, why hasn’t it become extinct? Actually within families with a child diagnosed with a single-gene disorder it may be headed towards extinction within that family by the so-called ‘stoppage rule’ which states that families often decide to have no more children. However, families that decide to have no more children is more than overcome by the same single-gene mutation occuring de novo in new families. Asking the question of why hasn’t autism become extinct is like asking the qustion why hasn’t Downs Syndrome become extinct.